Allenby's snack bar bursts with culinary creativity. As all the restaurants and eateries in the city are becoming increasingly more sophisticated, polished, and sealed with a neat bow, an authentic initiative feels like a breath of fresh air. Such is Jasmino, the cool snack bar helmed by restaurateur Shaul Tevet. 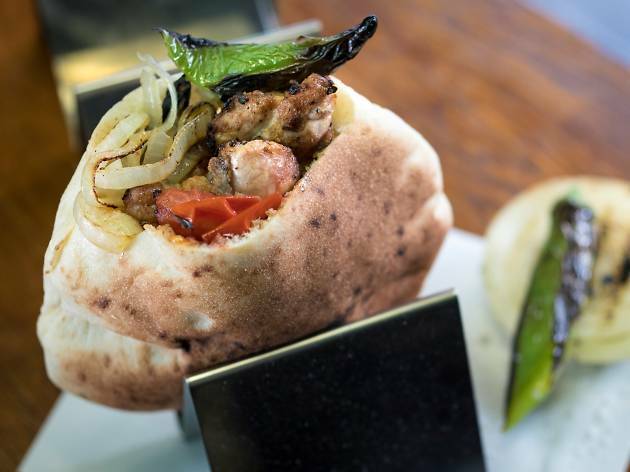 Perched on Allenby - the busy nightlife hub, Tevet offers locals a quality street food establishment that draws the drunk munch crowd. 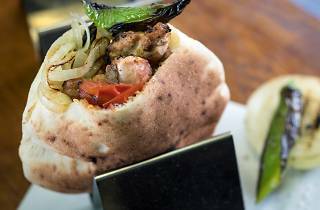 The unexpected gem serves simple, yet sensational, charcoal grilled options in grab-and-go pitas. The four options include: kebabs, chicken, housemade sausage, and spicy veal heart. All of these come with salad and pita, hot peppers, grilled onions and tahini. Be the first in your group to swing by this hot spot magnet, then tell all your friends. The more the merrier.